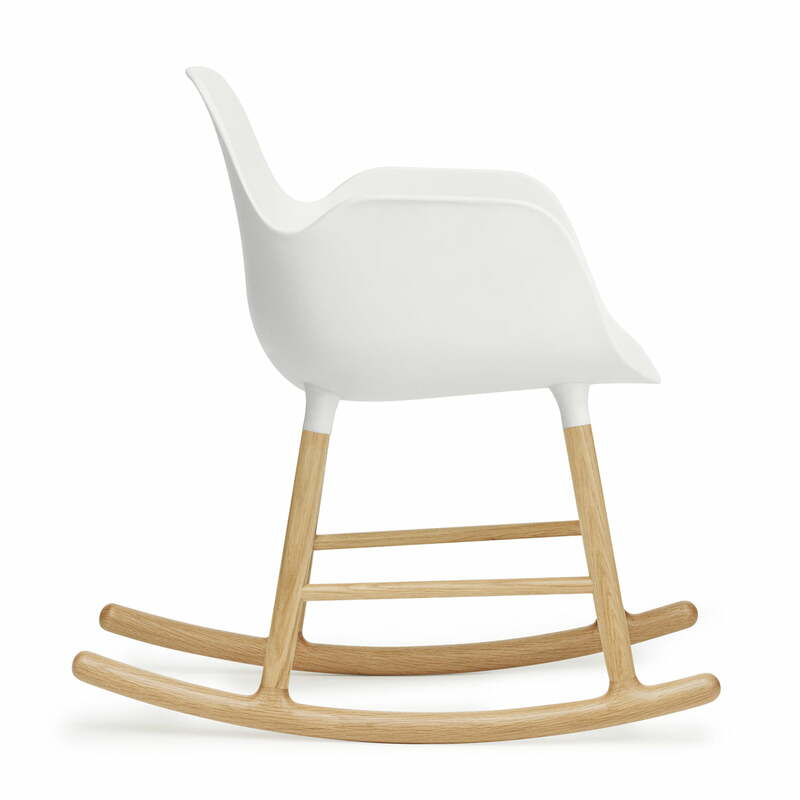 The rocking chair is a simply designed chair with armrests, which adapts to any interior thanks to its minimalist appearance. 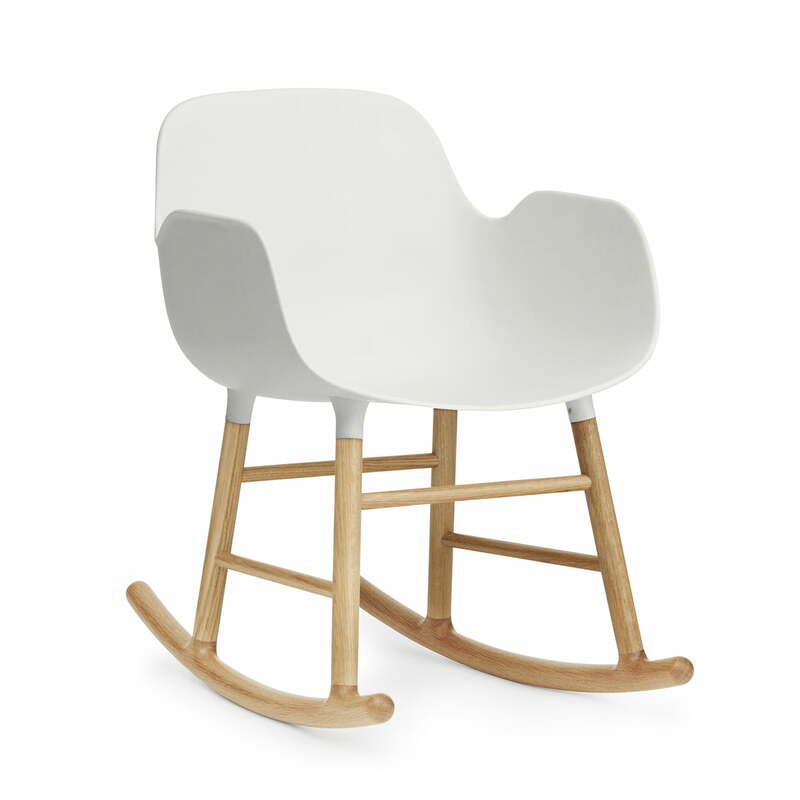 The combination of plastic and oak gives the rocking chair an elegant and inviting appearance. 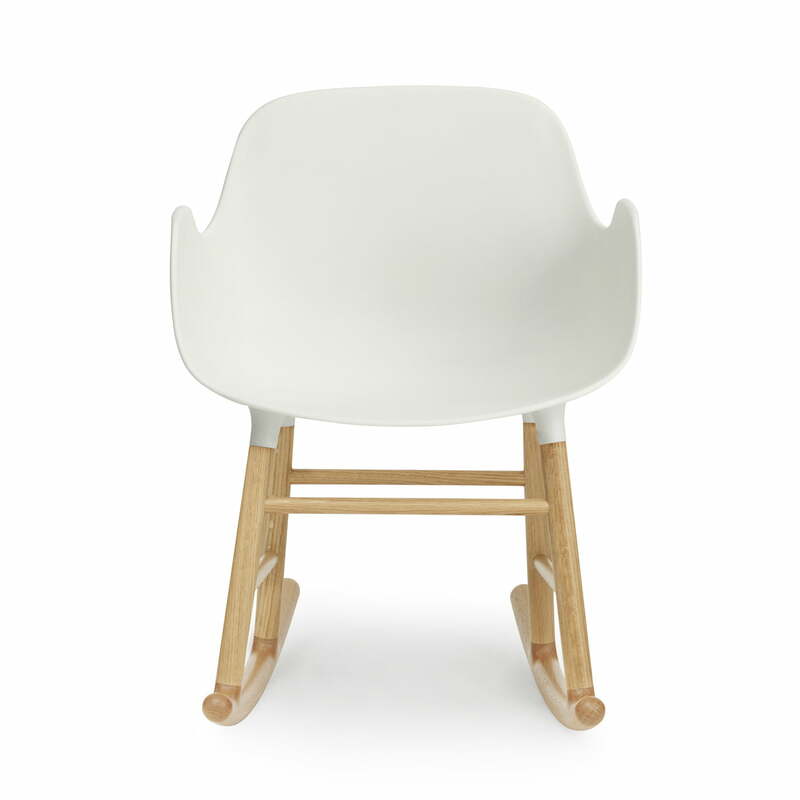 On request the Form chair is available in many additional colours, as well as with a seat without armrests available. 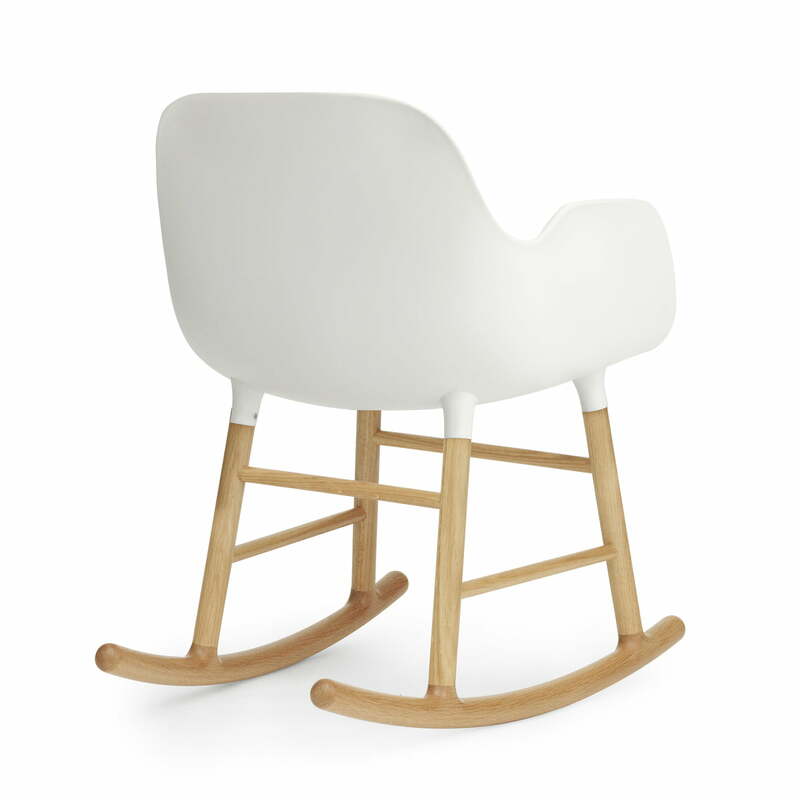 The Form rocking chair by Normann Copenhagen is a rocking chair with wooden legs and a seat with armrests. 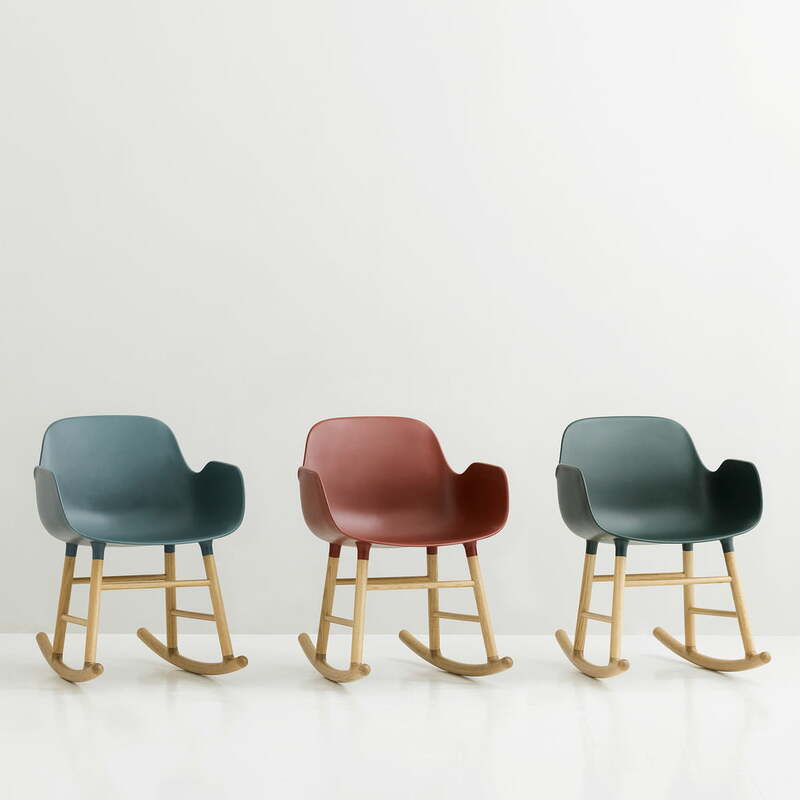 As part of the Form series the chair was awarded with the German design award 2016. 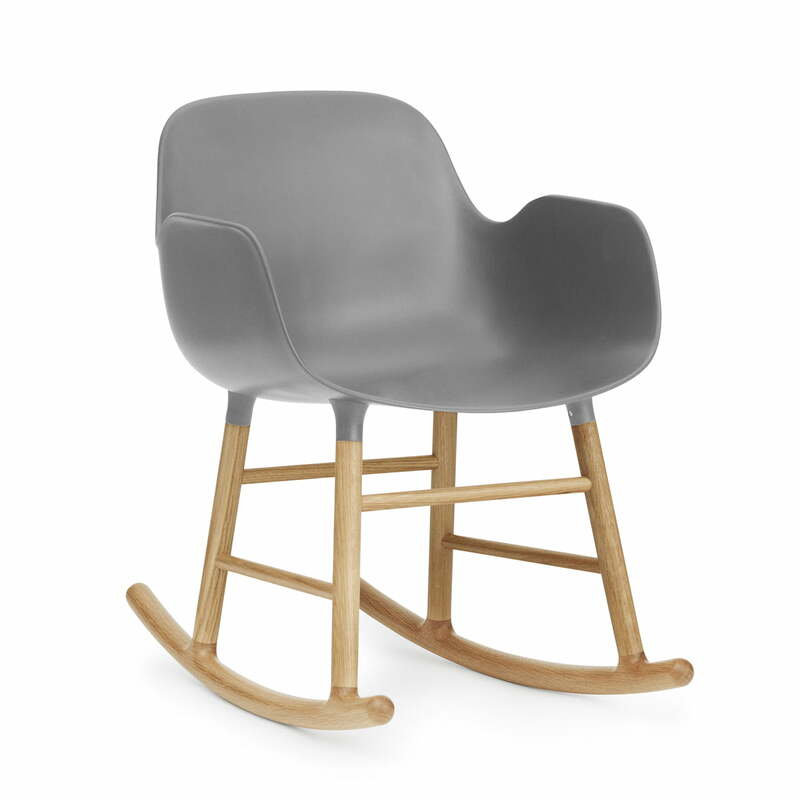 The seat and the legs are connected by plug-ins. 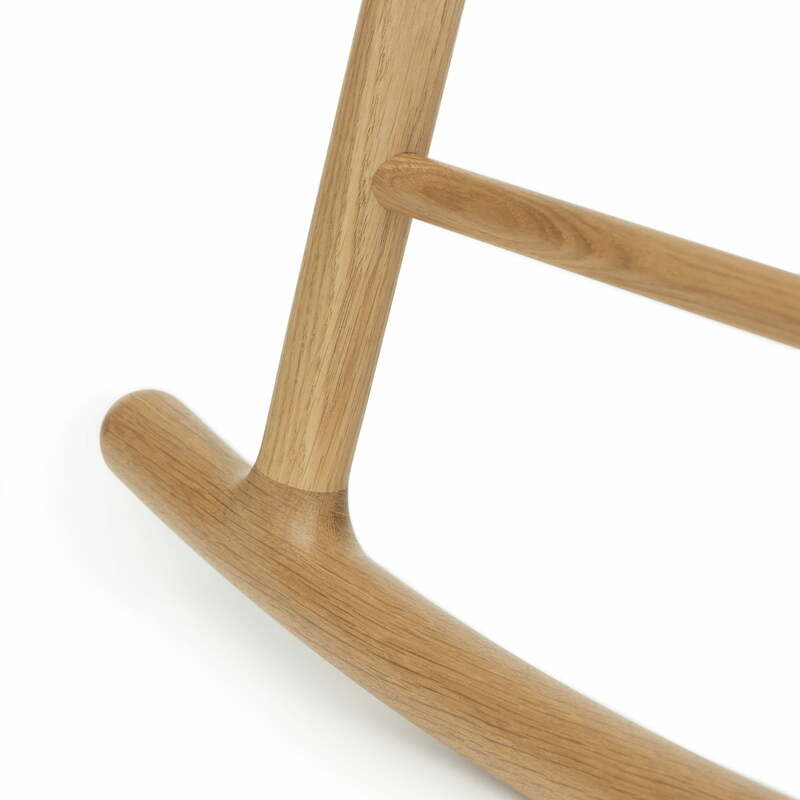 The result is an appearance with smooth transitions and no hard edges - the legs appear to grow from the seat. 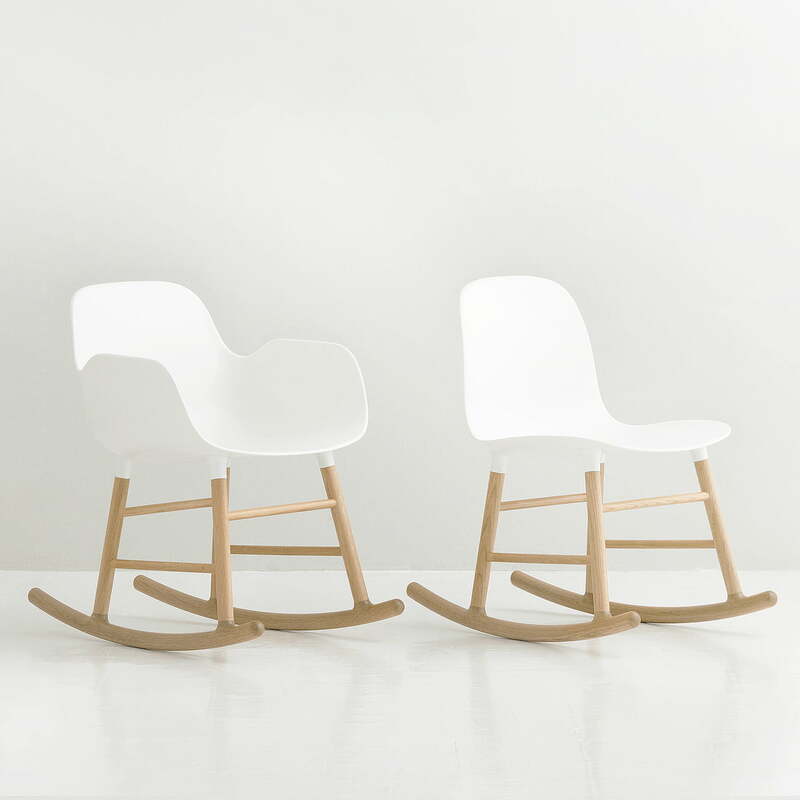 A simply designed chair with armrests, which adapts to any interior with its minimalist appearance is the form of rocking armchair by Normann Copenhagen oak in white. The combination of plastic and oak gives the rocking chair an elegant and inviting look that does not only look good at home but also in the office at the workplace. The strong materials and the contoured seat provide the Chair for comfort and stability and you can safely rock back and forth and rely on the armrests.